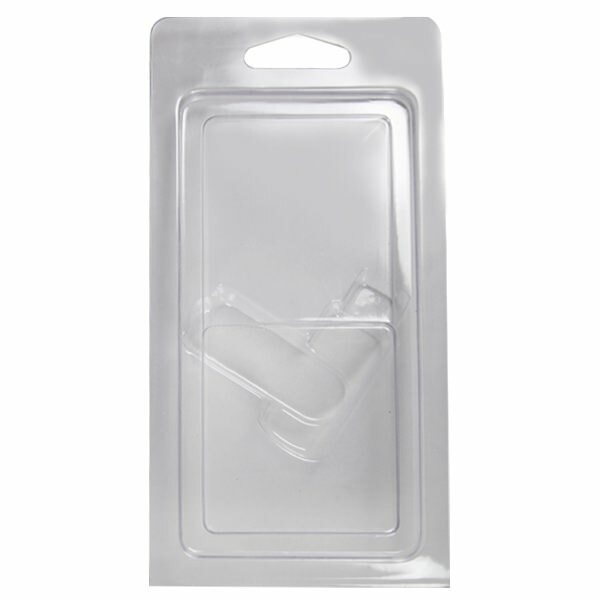 Available in packs of 50, these Clamshells are the perfect packaging for Revolution USB Drives. Specifically designed to showcase and protect the swiveling Revolution drive, the Clamshells are made out of durable plastic with a transparent cover. 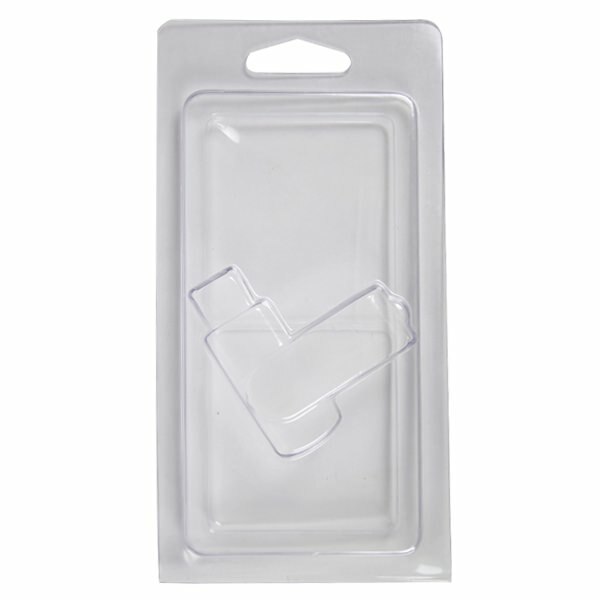 They come with hanging tabs, making them ideal for displaying in retail spaces. They also come with eye-catching printed inserts. A revolutionary USB Drive deserves revolutionary packaging. That’s why we have these versatile and durable Clamshells for Revolution USB Drive. 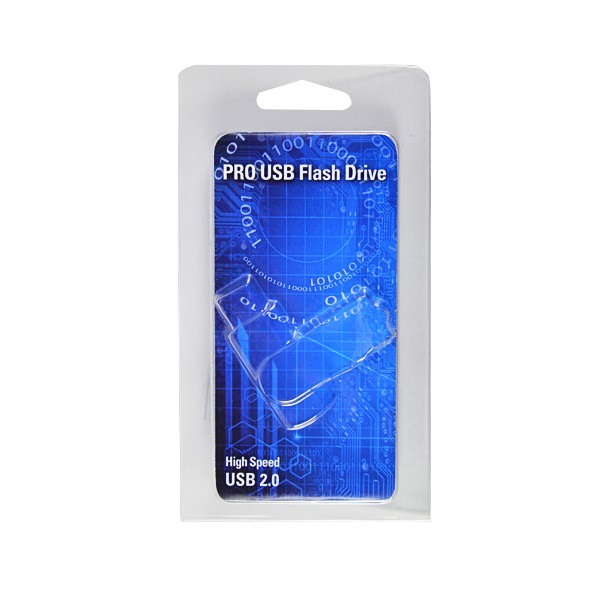 It’s a handy storage device that’s designed to show off the Revolution USB’s appearance and function, thanks to its transparent plastic cover. The Clamshell is hardy and able to protect the Revolution from dust, dirt, debris, and other kinds of environmental damage. It utilizes a hanging tab to make it easy to display in retail spaces. The Clamshell comes with a printed insert to get people’s attention. The Revolution Clamshell is available to order in packs of 50. 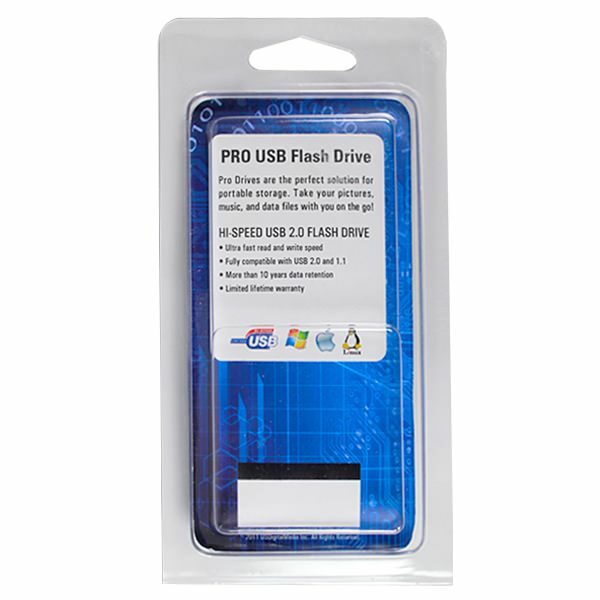 They’re great for shipping drives to customers and clients because the Clamshells will keep the USBs safe and give them a professional look.